Amy Schumer is back, everyone. 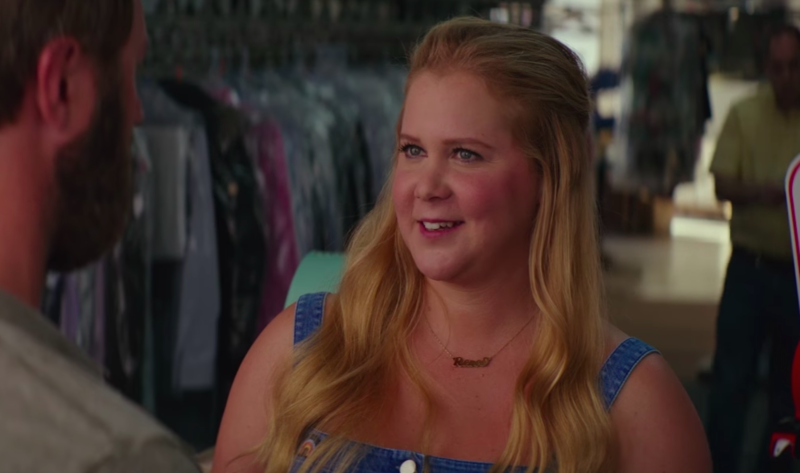 The Trainwreck and Inside Amy Schumer star has a new film coming out and we are *pretty* pumped about it — and not just because the movie is called I Feel Pretty. Renee begins to see herself as a model, a pinnacle of beauty — but literally nothing about her has changed, aside from a bump on the head. With this newfound confidence comes overconfidence, and even though to the rest of the world Renee looks exactly the same, she begins to treat others in the same dismissive way she was once treated. Through her transformation, she learns that beauty is not skin deep. Strutting around in her best business suit to Meghan Trainor’s “Me Too,” Schumer has another film on her hands she’s going to completely own. Other names you might recognize in the film include Saturday Night Live star Aidy Bryant, Busy Philipps, Emily Ratajkowski, and Michelle Williams. I Feel Pretty hits theaters June 29.